This timeless line from Shakespeare’s “Hamlet” can apply to so many moments in a language teacher’s life. Even in our teaching methods, there’s always a little madness. From the “direct approach” and the “natural approach” to wacky ideas like “suggestopedia,” language teaching methods have come and gone. Well, for starters, methods are usually the fruit of linguistic research and experimentation. Through a combination of observation and testing, an investigator puts forth what he or she thinks is the best way to teach language. Others jump on the bandwagon, the practice spreads and, voilá! You’ve got a new language teaching method. Because this is science, though, continued research and study bring us new, improved methods. That often means that some or all of the old method is discarded in favor of the newfangled way of teaching. The pity is that when the previous method is left behind and a new method becomes fashionable, sometimes the baby gets thrown out with the bath water. An entire method is replaced, overlooking valuable ideas that actually worked. How do you keep your sanity with so much change and controversy? By picking out the best from all those methods, mixing ’em in a blender and pouring out your own, personal teaching method. Here’s a quick overview of some of the best-known language teaching methods. We’ll show who can benefit from the underlying principles of each method and provide a handy example of how you can successfully implement it in your modern classroom. These types of methods work well when you need an academic look at language learning. The goals will include understanding basic timidity issues some students have when using their target language and identifying contextual clues that help with comprehension. Your “clients” have anxieties about using their new language. You empathize with this anxiety and lead them through a several-step process of gradually gaining confidence with using the language. Now, it’s easy to have reservations about this method, created in the mid-1970s by Charles Curran. You might wonder just how much language can be taught and learned while expressing student anxiety about using language. However, it’s true that many language students experience timidity or embarrassment when faced with using their new language. Getting that anxiety out in the open, shared by all, can help students deal with a sometimes serious obstacle. Make a circle of chairs, maybe have a podium for the speaker. Tell your students that they’re all attending a “Pronunciation-aholic Anonymous” meeting. All of them have difficulty with pronouncing a particular word. The teacher gives some encouraging remarks while helping the student to correctly pronounce his or her word and having the group practice together. Move on to the next student. At the end of the activity, with the ice broken and a realization of how “silly” these shared issues can be, you can gently encourage students to talk about real problems, anxieties and embarrassments they have with their target language. Though I never consciously used this method in class, its precepts ran beneath almost all of my basic teaching. It probably serves best as a philosophical structure underlying overall class preparation, as it deals with fundamental ways in which language is used for communication. Besides categorizing dozens of functional uses of language, the functional notional approach also deals with the concept that language doesn’t occur in a vacuum. There will be a “universe of discourse,” within which there will be the people speaking, the location of the conversation, the theme of the conversation and what each participant wants to get out of the exchange. The most active aspect of this method is getting students to recognize first what type of conversation they’ll be having, and second, the appropriate type of language to use when having that conversation. A short video clip with two to four people conversing in an identifiable place about a recognizable theme (e.g. lunch room/their bad day at work). 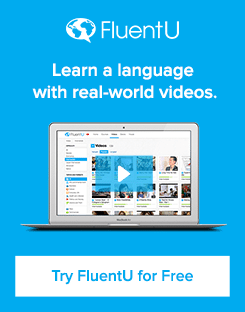 FluentU is a great place to look for this type of video, due not only to the diverse and entertaining clips you’ll find there, but also the many teaching tools they come with (such as student progress tracking, curriculum design tools and more). Plus you’ll love that each video comes with interactive captions to actively teach students new vocabulary, so it’s a tool you can use in a range of other settings outside this activity. What does each speaker want? Will any of the speakers get what they want? Show the video once without sound. Ask students to note any answers on the worksheet that they can see only in the images. Show the video again without images (put a piece of cardboard over the screen!). Have students continue developing their hypotheses from what they’ve heard. Have a group discussion based on these notes; write ideas on the board. Show the video again, sound and image, and ask students to further elaborate on their notes. Ask students to talk about the language that was used. Were there any expressions or words that were repeated often? Was the language formal or friendly? Did any speaker use language differently from the others in a notable fashion? Help them to recognize that, behind any conversation, there are patterns that they can lean on when they find themselves in similar situations. These methods, tried and true, will be the fodder of test preparation and even good-old academic school work. Though they might seem a horror as the basic teaching method for a modern language class, we sometimes just can’t avoid looking carefully at grammar, translation and reading skills. If you’re young enough, you may have been spared this method yourself. Here’s how it works: students learn the grammar rule, apply the rule in exercises, translate texts from their native language to the target language and vice-versa, learn some more grammar rules, take a test (and hope they pass!). Most people, even those who study languages, don’t realize that translation is an activity of “code switching.” It isn’t enough to know how a particular word is said in one or the other language: You have to be able to use the right code to translate the essence of the original text. Have your students translate one of the short texts to their native language using literal word-for-word definitions. Students pass their translations to the student on their left. This one has to re-translate the text, native language to target language. Share the crazy translations that come out of this with the entire group. Hand out the contextual definition list and, as a group, re-translate the original text from target to native language for understanding of the metaphorical nature of the language. This method is based on using the eyes to take in text and the brain to assimilate grammar and vocabulary found in the text. The lips, teeth and tongue have little or nothing to do with the original method, as the objective was basically to become literate in the target language while assimilating grammar and vocabulary from texts. It’s useful in its original incarnation for people whose main activity in life is reading (doctors, lawyers, scientists, engineers). But the gradual nature of piling on both grammar and vocabulary is useful for everyone. Begin with elementary texts. Have students parse each of the texts for its basic vocabulary and grammar. For vocabulary, have students identify and highlight the key words that convey the basic meaning of the text. For grammar, have students mark main, action or abstract verbs and identify overall tense and mode. Students then visually compare beginner texts with more advanced texts to identify how they’re similar (key words are often longer than linking or functional words; texts written in the simple past often include the past continuous or perfect modes, etc.). Indirectly, while doing this parsing, students will be accumulating vocabulary and learning to focus on meaningful text while using linking text to understand function. These methods, designed from the early days of linguistic research into how languages are learned and should be taught, continue to be part of modern-day language teaching. Much valuable cherry picking has already been done, and I’m pleased to say that in these cases, the baby was taken out of the tub before the plug was pulled! An ear-to-tongue, habit-forming type of language study. Language is modeled for the student, who then mimics through imitation or drill and finally, orally puts that language into practice. Two sentences can hardly do justice to a method which, though once frowned on in its entirety, has contributed a great deal to current language teaching procedures. This type of activity can be used at all levels. A clever, well-prepared teacher will be able to present situations, make drilling a game of dodgeball and twist pronunciation around the tongues of any student at any proficiency level. 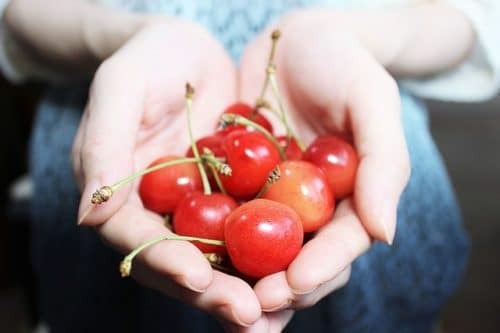 The most obvious cherry we pluck from the audiolingual tree will be the focus on oral habit forming, which will include some hard work on pronunciation improvement. Situational communication material is used to create those habits. A few simple situational conversations prepared that can be held while doing something else (in this case, doing basic ballet exercises). For example, what we did last night, what we heard about Mary yesterday, what we expect at work/school tomorrow, etc. Prepare the classroom by pushing tables to the back of the room and placing the chairs around the outside, facing the wall. Students enter and greet one another while miming physical warm-ups. The teacher enters and calls everyone to the barre (here the chairs become the ballet barre). While taking students through basic barre exercises, the teacher drills students on the basic situational sentences. Students are then paired and while they practice holding the situational conversation, they should mime doing a ballet pas de deux. The teacher walks around, correcting language while miming physical correction of arms or hands or head positions. The audiolingual method was often criticized for being too teacher-centered and nearly military basic training in its drilling exercises. If you add physical movement to the traditional audiolingual exercises as we’ve done above, you can keep your students on their feet, distracted from what can quickly seem rote repetition and drilling. This activity can easily be changed to reflect other organized physical preparation, like soccer practice, water polo, baseball or cricket. The physical movement should simply be mimed while using the language as if it were the throwing of a ball or the stretching of a leg. This one hits me close to home. Back in the 1990s, it seemed that academies in Spain caught wind of Stephen Krashen’s “Natural Approach” and used it as a marketing tool to sell classes for really young kids. Based on sometimes valid and other times stretch-of-the-imagination linguistic research, the idea is to inundate the student with listening to the target language and then follow the same process that babies use when acquiring their native language. Stephen Krashen, a well-known linguist at the University of Southern California, is, if nothing else, a prolific investigator, unafraid to study a wide variety of disciplines and apply them to understanding language learning. Consequently, it’s easy to set aside techniques that proved disastrous and pick valuable information from his contributions to language learning. Here we’ll look at the acquisition of language from recognizable dialogue. Show your students the video and have them note important words or expressions they recognize. Pair students up and give them five minutes to practice the same scene from memory. Have students change partners and perform the scene for the class. Language is sometimes pretty routine and this listening, recognizing and then using exercise helps to review and reinforce learned language orally. In any case, cherries from both can be introduced into your language classroom to break the ice or relax from more academic language study. While on the surface TPR can seem a simplistic “Simon Says” technique of giving instructions and getting responses, it can be a valuable teaching tool combined with other aspects of language teaching. It’s pretty teacher-labor-intensive and the use of TPR as a foundation for your language class will probably require some formation and training on your part as a teacher. TPR does offer valuable, get-them-on-their-feet activity that merges language with kinetic understanding and communication. Any language class you give ought to begin with some kind of warm-up. It would be a mistake to think that, because it’s a language class, warm-up only involves the vocal apparatus. Students will appreciate you leading them through some type of full-body warm-up exercise. By combining these simple instructional words to actual physical body movements you’re cementing meaning to words. Expand by having students chant the words with you as they do the exercises, or having students rotate as the warm-up leader. Though I personally find this one kind of silly, there’s still a cherry to be picked. In this method, there’s a colored chart on the front wall that represents target sounds and some colored rods that are passed about or combined to stimulate students to produce those sounds while the teacher is pointing to colors on the chart with a map pointer. While there’s a bit more than that to the “Silent Way,” I appreciated the nearly surrealistic idea that colored charts and rods will magically get students using the target language. That means that whatever we pick, it’ll be good fun! As with any fun, silly, out-of-the-ordinary activity, you can use this Silent Way exercise with any age group at any moment in the course or class, either to warm up or to review sounds or just to warm down a particularly heavy-duty lesson. We’re going to stick with the colored chart, map pointer and colored rods for this activity. Hand a consonant-colored rod to one student and a vowel-colored rod to another. Point to the consonant color on your chart and pronounce the sound. Point to the student with that color rod and have them repeat the sound. Point to the vowel color on your chart, pronounce the sound and have the rod holder pronounce the sound. Now point between the consonant and vowel colors on your chart, having the corresponding rod holder make their sounds. Each time point quicker, until they’re producing something like a single syllable. Repeat these steps with each consonant/vowel pair that remains, remembering to come back to and review those that have been handed out. Once all the sounds have been assigned to students, have them construct words, following your pointer on the sound chart. Each student makes his or her sound, slowly, then more rapidly until it begins to sound like a complete word. Carry out this part as if you were conducting a choir, making sure your gestures are clean and clear. Now, have a student step to the front and blindfold him/her. Pull an item from the prop bag and show it to all the students. Point to the first two sounds of the item’s name on the chart; the respective students make their sounds. Ask the blindfolded student if he/she can guess what the prop is. Hand the prop to them but take it away very quickly. Point to the first two sounds and add one. Ask the student to guess again. Let the student briefly touch the prop again. Add another sound. Guess, touch, add a sound. If the student still hasn’t guessed, return to the slow-to-rapid production of the chain of sounds, pointing to the colors and students making their sounds faster and faster until the word is more or less produced. A memory cheat for you as a teacher is to mark in the corner of each color on your chart the sound the color represents, really small so that students can’t make it out from their seats. Each student only has to remember one sound, until you collect the rods and mix them up for a new round of play. Any well-researched method, founded in strong linguistic theory, will offer sources for developing techniques that’ll work for you as a language teacher. Actually, the only “danger” that a method presents is when it’s considered the end-all be-all of teaching language. That method has yet to be developed and may never be. You as a teacher, though, should be aware of the variety of schools of thought concerning language teaching methods and be open to the principles behind most of them. While some methods have either been developed or cherry-picked in order to sell language classes, the vast majority are the fruit of dedicated scholars, teachers and finally students who have studied under them. Look for the information that rings true to you in the methods you read up on. That information will be the stimulant for your own imagination and will help lead you to the development of your own most effective techniques that address your students’ objectives. Take the madness out of your method, be creative and audacious and always remember that the end result will be reflected in your students’ improvement.